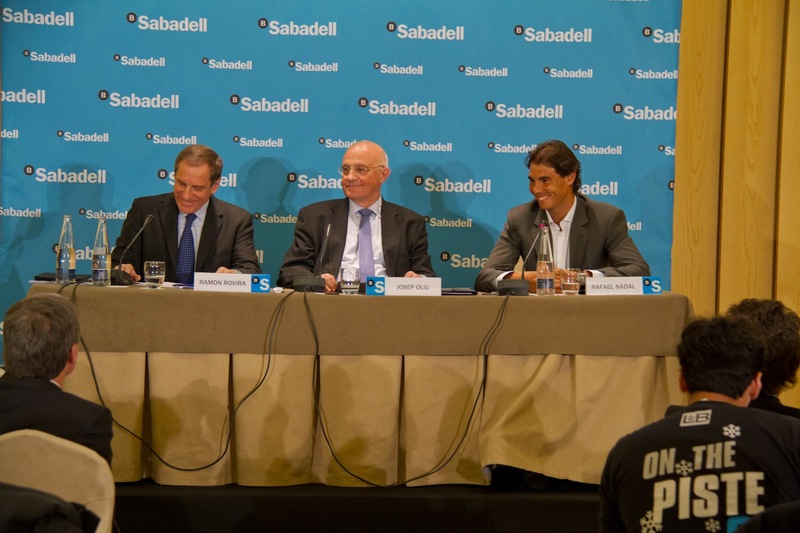 Rafa Nadal traveled to Madrid yesterday for his meeting with Banco Sabadell today in order to formalize their agreement/contract. 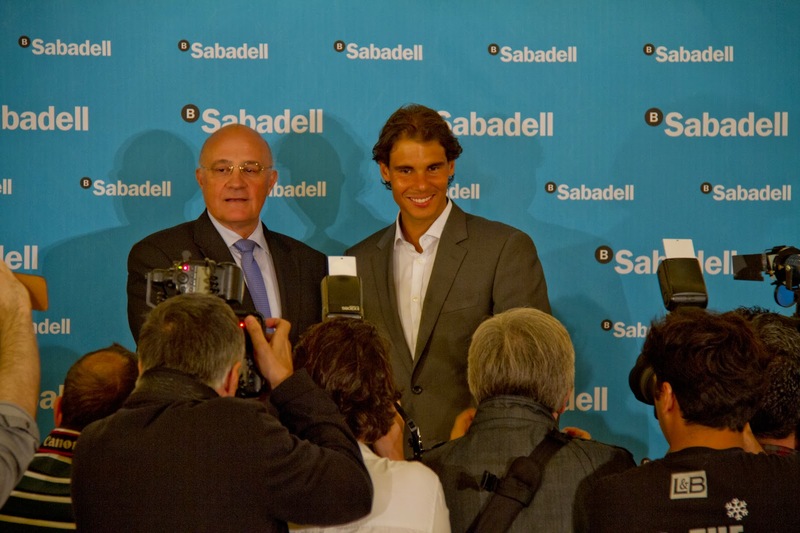 Rafa Nadal is officially a Banco Sabadell Ambassador. 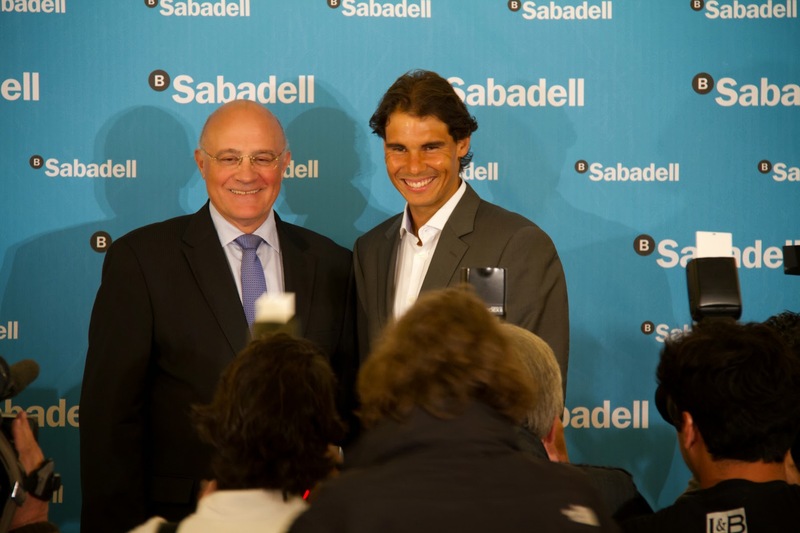 "I am particularly pleased to have been able to formalize this agreement with Rafael Nadal, because he stands out as a tennis player, but also as a person, he is also one of the most beloved and admired athletes in Spain and in the world." 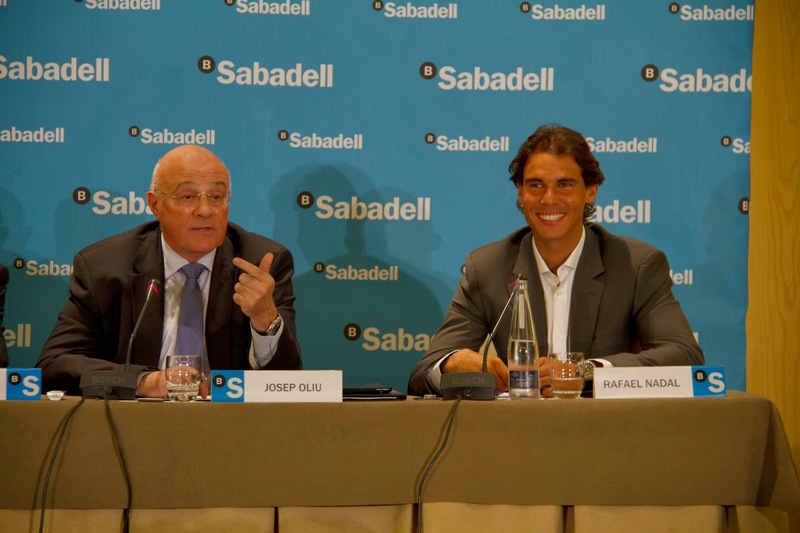 "Its an honor that Banco Sabadell has chosen me as their brand ambassador in Spain and internationally. from my beginnings as an athlete, I relied on Banco Sabadell and now I am very excited that this relationship of many years becomes evident in the field of corporate and commercial communication"
According to a recent study by consulting firm specializing Media Personality held in twelve countries, Rafael Nadal is the most popular Spanish sportsman worldwide notoriety with a rate of 75%. Nadal also get excellent levels of credibility and trust, above the rest of Spanish athletes of international importance. Therefore, according to the authors of that study, these data make it "an excellent prescriber brand image internationally." More Photos up on facebook.